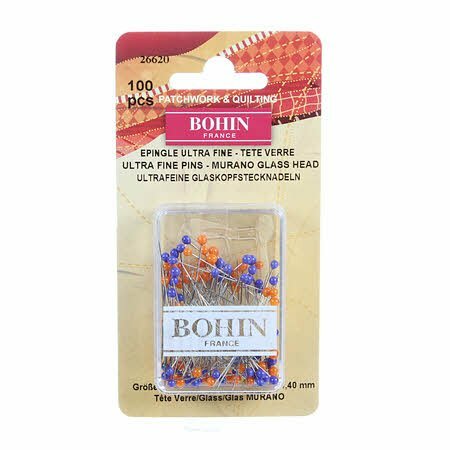 These ultra fine pins were created to meet the most exacting needs in sewing, quilting and embroidery works. Their .40mm narrow shaft is perfect to use on cotton fabrics, fine silk, walstesilk, and batik with tight weft. For both hand and machine sewing. Pin heads are orange and blue.